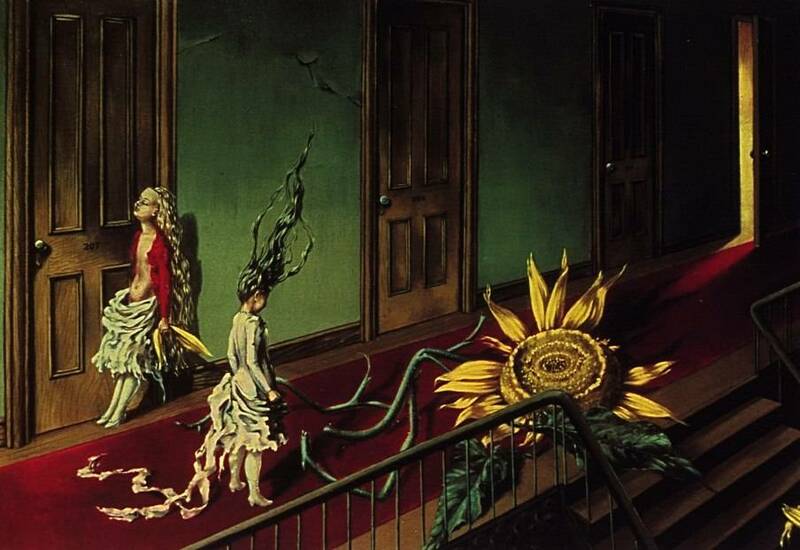 American painter Dorothea Tanning, b. Galesburg, Ill., Aug. 25, 1910, learned to paint, she claimed, by visiting art museums. She attended Knox College in Galesburg, studied art in Chicago, and in 1935 moved to New York City, where she supported herself with advertising art and painted in her spare time. A commercial artist in New York, she began painting as a professional after meeting a group of French surrealist painters that included Max Ernst, whom she married in 1946. Tanning's paintings have evolved from her early surrealist evocations of perverse children's games and fantasies to experiments with different painting and, later, sculptural approaches--although her involvement with symbolic and dream material has remained constant. Her Hotel du Pavot , an installation in cloth sculpture, is in the permanent collection of the Beaubourg Museum in Paris. This section was contributed by Michael Shephard.